During World War One military flying began at Kelstern when in December 1916 a landing strip was built for No 33 (Home Defence) Squadron. 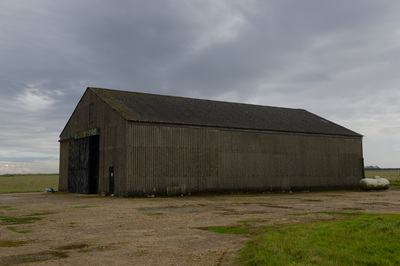 The airfield was located near Mill Farm and was intended to be a refuge for 33 Squadron's Zeppelin hunters if they were low on fuel. The airfield was very seldom used and the site closed in 1919. 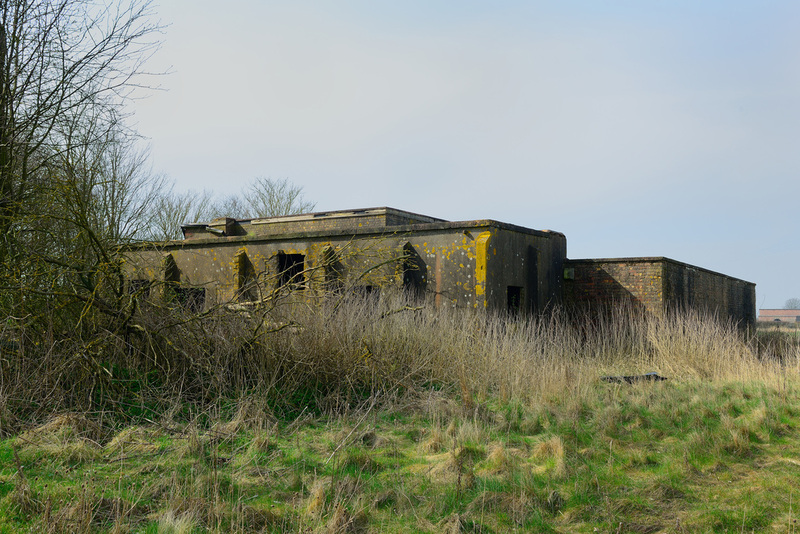 Located in the Lincolnshire Wolds RAF Kelstern was built in close proximity to RAF Binbrook and RAF Ludford Magna. At 420' like Binbrook it is one of the highest airfields in the area and like other Lincolnshire airfields could be a very inhospitable windswept place. Construction began in July 1942 and was built to a Class A standard with three intersecting concrete runways which dictated the closure of some local roads. The main runway 06-24, was 2,000 yards in length with two subsidiaries 01-19 and 13-31 both of 1,400 yards. 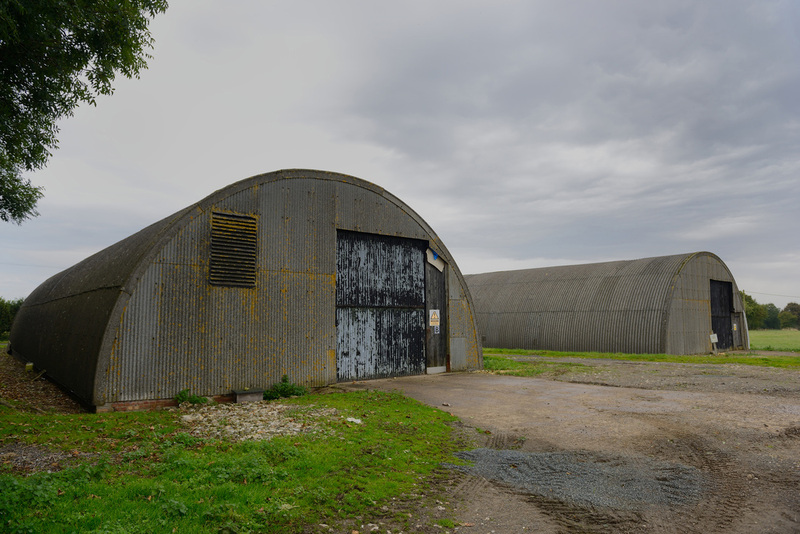 To provide a modicum of protection for the ground crews from the harsh Lincolnshire weather, two T.2 hangars and a B.1 were erected. There was also thirty six hardstandings of the loop type. The bomb store was located to the south - east with the dispersed sites to the north - west. Located on the site were 110 officers and 1821 other ranks. Accommodation was fairly primitive consisting of concrete or Nissen huts. The airfield opened in September 1943 as part of No 1 Group becoming part of 12 Base (Binbrook) with the first station commander being Group Captain R.A.Donkin. On 1 October 1943, No 625 Squadron was formed at Kelstern flying Avro Lancasters. The Squadron was formed around C Flight from RAF Grimsby (Waltham) based No 100 Squadron and was declared operational on 9 October. Kelstern's Lancasters flew their first mission over the night of 18/19 October and went on to take part in Main Force bomber operations throughout the war. 3,385 sorties were flown which resulted in losses of 66 aircraft, a loss rate of 1.9%. Kelstern's worst loss of the war to date was over the night of 19/20 February 1944 when 823 aircraft were sent to Leipzig. Three Lancasters were lost from 625 including one of the Squadron's Flight Commanders, Squadron Leader Barry Douetil who became a POW. Three more Lancasters were lost on the final raid to Berlin over the night of 24/25 March. The weather sometimes intervened to try and curb Kelstern's operations. Over one night in February 1944 two feet of snow fell on the airfield blocking the runways. Within 48 hours Kelstern's personnel had cleared the snow and the airfield was back on an operational footing. May & June 1944 saw 625's Lancasters very busy in softening up defences in France prior to the D-Day Invasion. At this time within Bomber Command a trip to France counted as one third of an operation towards an operational tour. Losses on such trips were still sustained and could be disproportionate to the target being attacked. 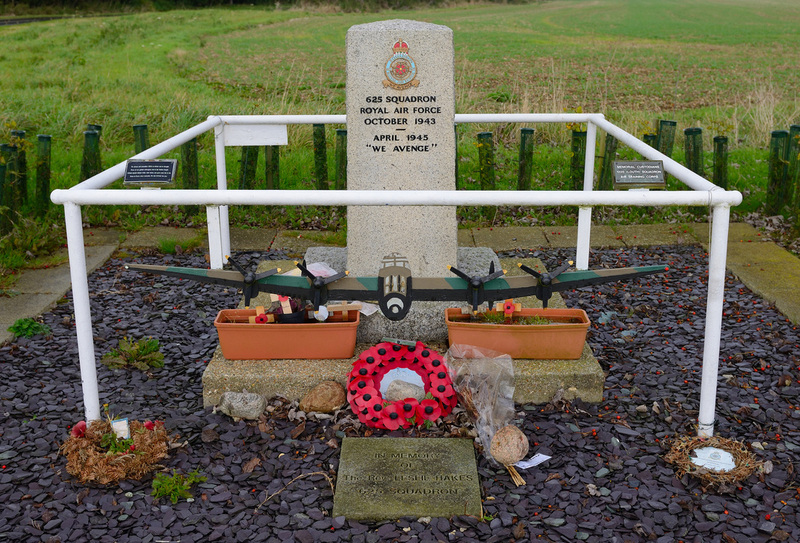 One attack to a rail junction at Acheres saw 625 lose three Lancasters from a force of nineteen. 625's Lancasters were also in action on the night of 3 May when three aircraft from the squadron were lost on the disastrous raid to attack German armour at Mailly-le-Camp. No 625 was briefly joined by No 170 Squadron during October 1944 which formed at Kelstern from C Flight of 625 before their Lancaster's relocated to RAF Dunholme Lodge. The last operation flown by No 625 from Kelstern was on 3 April 1945 when an attack to Nordhausen took place. The raid cost two aircraft one being from 625 flown by Flight Sergeant Collier. He and his crew were the last lost from Kelstern. With the proposed introduction of the Lincoln bomber it was found that existing T.2 hangars were too small to get the aircraft in in the normal way. So to overcome this it was decided to get the aircraft in the hangar sideways. Tram tracks were taken up from Grimsby and layed across the apron to the hangar. A special trolley was made and placed under the aircraft which was then wheeled into the T.2. A prototype Lincoln was flown to Kelstern and tested the system which worked successfully. However, the war ended before the Lincoln came into service and most of the airfields with small hangars were closed, so the system was not implemented elsewhere. 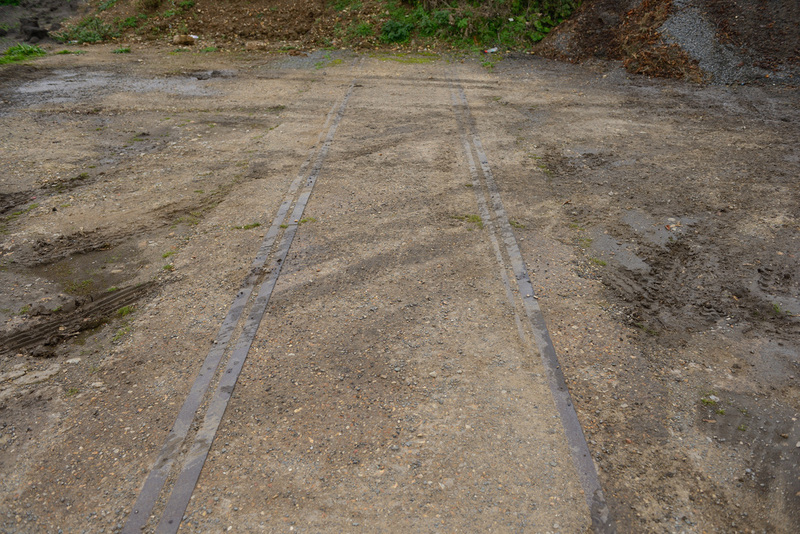 The photograph above shows the tram tracks which still remain in place today. 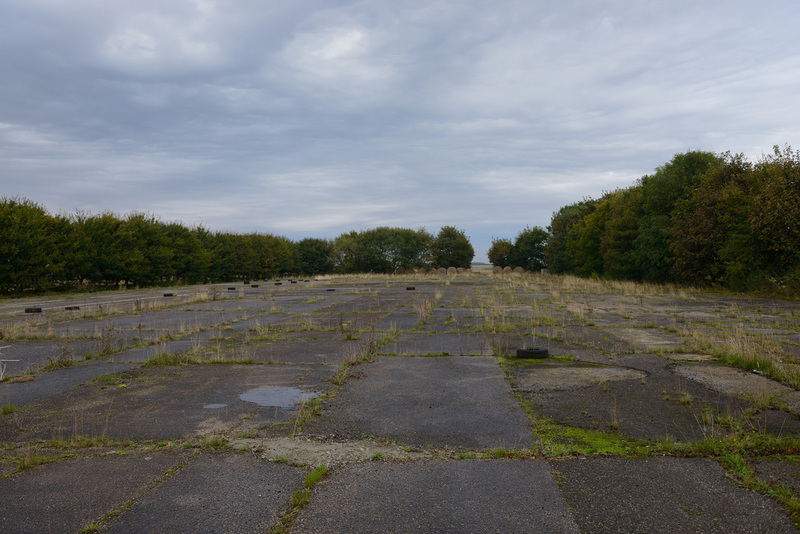 On 5 April 1945 orders came through for No 625 to relocate to RAF Scampton and by 9 April the airfield was empty. 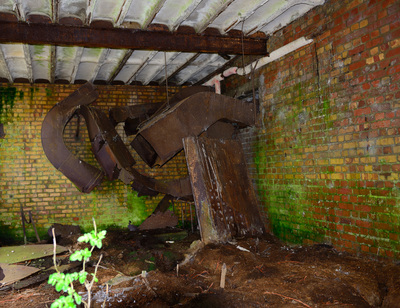 This was the end for RAF Kelstern and the airfield closed in October 1945. 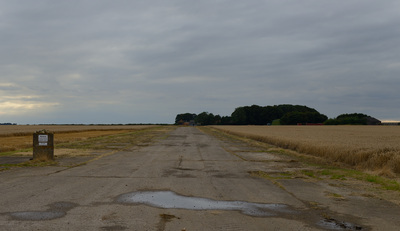 Very little remains today at Kelstern and it is very easy to drive by the former airfield without noticing its there. A memorial has been erected on a crossroads that leads to the former Technical Site. Some of the remains at Kelstern are shown below.